Our tournament has supported the important work of several local charities such as: Cathy Lincoln Memorial Cancer Fund, San Juan Regional Animal Shelter, and A Path Home, and has made a positive impact in our community since 1990. Starting in 2017 we are working with The Heart Gallery of New Mexico Foundation helping the foster children of San Juan County. 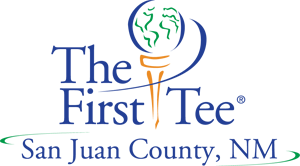 In 2019 the First Tee of San Juan County will be partnered with to provide foster youth scholarship in order to teach the game of golf and reinforce nine core values. The Ladies Charity Golf tournament has grown over the years to become an annual event! This two-lady best ball tournament is held at two of the top golf courses in the state, Pinon Hills Golf Course & San Juan Country Club. Lady golfers travel from across New Mexico, Colorado, Utah, Arizona , and Texas to participate in our annual event. Sponsorships are a vital aspect of the event, and we hope you will help us to make this year's tournament a huge success! All of sponsorship donations are tax-deductible and go directly to our designated charity. Thank you for your part in our 29th year of making a difference in our community!!! The recipients of the 2019 Annual Ladies Charity Golf Classic are the umbrella organization of Four Corners Foundation, a local philanthropic 501 c 3 organization dedicated to investing in the future of our community with the major beneficiary being The Heart Gallery of New Mexico. ﻿A New Mexico Children, Youth and Family Department (CYFD) Program. The Heart Gallery of New Mexico Foundation was created to raise and manage funds to support the needs of foster children in New Mexico, as well as to improve upon and encourage adoption through foster care. Proceeds will assist older youth in the foster system who are preparing to "Age" out of the system at 18 Years old. The Heart Gallery is a program for these youth in foster care without a family, through educational assistance, immediate personal needs and life skills training to aid in a successful transition to becoming adult citizens.